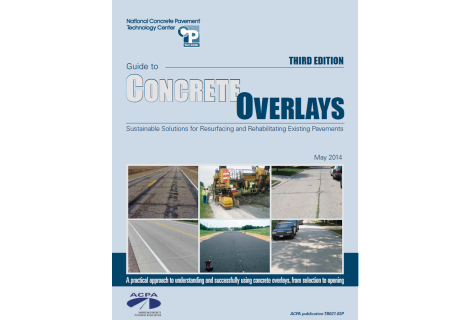 Continuously reinforced concrete pavement (CRCP) may be defined as a concrete pavement in which the longitudinal reinforcing steel is continuous throughout its length and has no transverse joints other than construction joints. In actual practice, the continuity is interrupted by expansion joints at structures, but except for these, there is technically no limit to the length of CRCP. 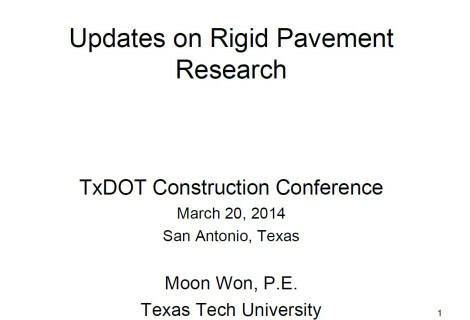 Transverse contraction joints were long considered essential to prevent pavement damage due to volume change stresses. 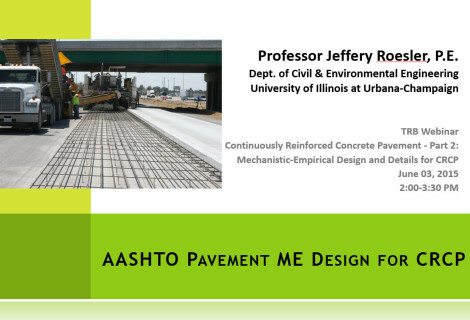 Unfortunately, the major distresses associated with concrete pavements were found at the joints. Thus, over the years, various joint spacings have been used in an attempt to maximize performance. In order to increase joint spacing beyond 15 to 25 feet, reinforcing steel was introduced to control cracks that occur from volume change stresses. The c ncept of controlling cracks with reinforcing steel and the poor performance generally demonstrated by joints raised the question of eliminating transverse joints altogether. It was this challenge that led to research initiatives by the U.S. Bureau of Public Roads and the resulting construction of the fust CRCP. 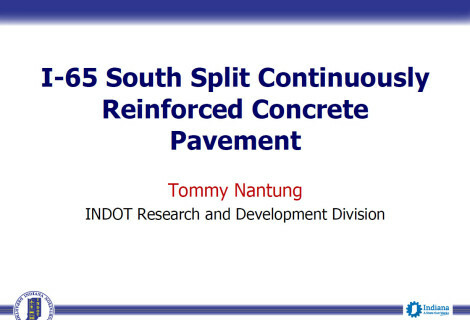 In 1938, the state of Indiana constructed a pavement with varying joint spacings. 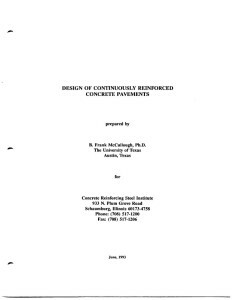 On some of these pavements, the joints were placed at very large spacings since high percentages of longitudinal steel were used, i.e., 0.5 to 1.0 percent. It was found that between joints these pavements performed as a continuous unit. 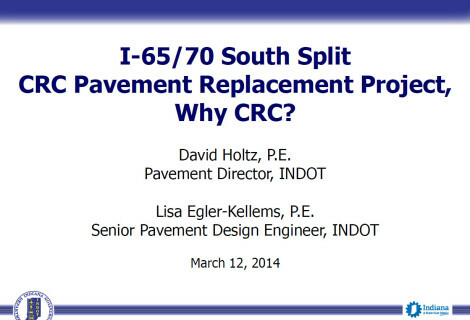 From the findings in Indiana, the concept of CRCP was developed. After World War 11, various state highway departments in fllinois, Texas, California, Mississippi, New Jersey, Michigan, Maryland, and Pennsylvania constructed similar CRC pavements that have provided excellent service for many years. 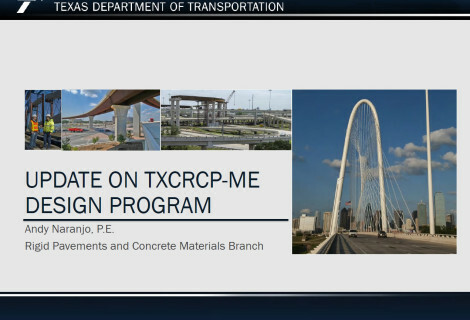 With the advent of the Interstate Highway Construction Program, CRCP gained widespread use throughout the United Slates (Refs. 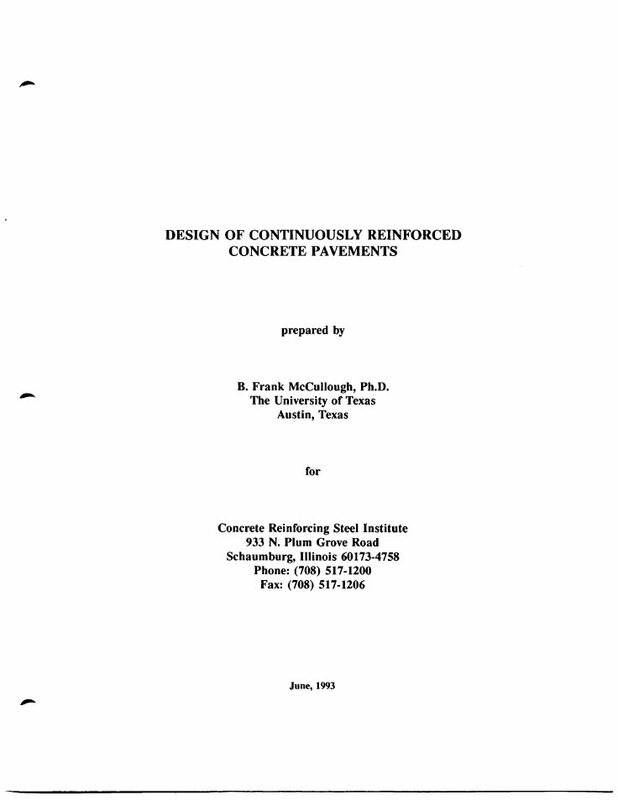 In the interest of reducing in itial pavement construction costs during the 1960s and 70s, and recognizing the absence of joints, CRCP was designed using an interior loading condition that led to the construction of thinner pavements. During that period, many pavements constructed in urban areas provided excellent performance, whereas some rural pavements did not perform as well as intended with distress manifestations such as punchouts occurring at an early age. Studies by McCullough, el al., found that many truck wheels were “off tracking” near the edge or on the shoulders. This condition was compounded due to the increased “off-tracking” associated with horizontal curves to the right (Ref. 6). In contrast, in urban areas, trucks tended to travel in the second lane from the outside edge to avoid merging traffic movement at ramps. Thus, in urban settings, the design assumption of interior loading was valid. 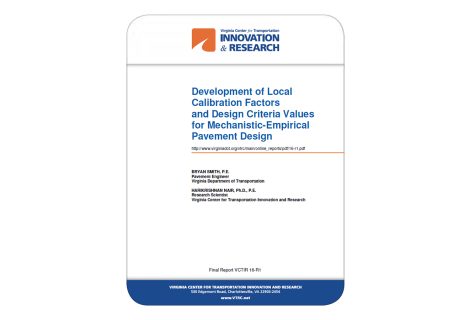 However, in rural settings, the “off-tracking” of trucks produced an edge loading condition that should have controlled in the design process. Since an interior loading condition was assumed, inadequate pavement thicknesses resulted. In the early 1980s, AASHTO recognized this problem and decreed that edge loading be used. This caused overdesign for urban conditions. 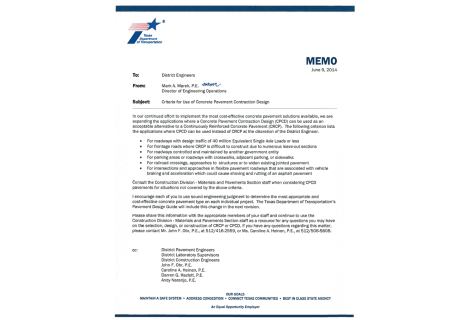 However, this problem was remedied when the l986AASHTO Guide for Design of Pavement Structures provided the designer the option of designing for various loading conditions depending on the use of concrete shoulders and/ or the operational characteristics of trucks (Ref. 7). 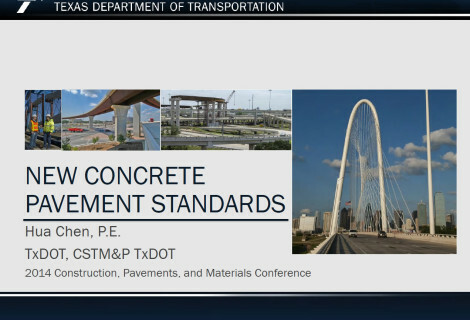 Thus, if loading conditions are adjusted for and the principles for design presented herein are used, CRC pavements arc a sound choice for highways. They provide an excellent riding surface for the user and minimize maintenance, traffic delays, and operating costs (Ref. 8). Smooth riding pavement surface for the vehicles that maximizes comfort for the passengers; minimizes the detrimental dynamic loads that are applied to the vehicle and pavement; and minimizes vehicle operating costs. The CRCP construction industry’s expertise has now evolved to the stage where the initial cost of CRCP may only be slightly larger than the alternative jointed plain concrete pavements, and less than jointed reinforced or prestressed concrete pavements. 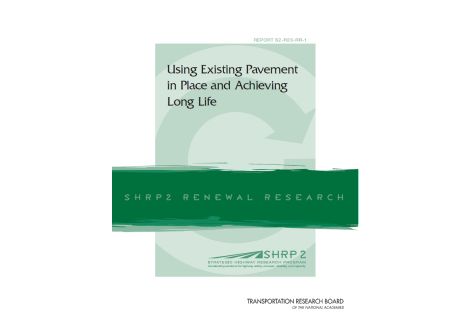 Thus, any type of systematic life-cycle cost evaluation over an extended analysis period (20 to 40 years) will demonstrate that CRCP is the most cost-effective pavement for highways with large volumes of traffic.